The Grand Tour takes you all around the Apostle Islands in the areas with the most picturesque sandstone formations and the most hidden beaches. This tour stops on islands (weather dependent) to let you explore the trails or relax on the boat or the beach. It really depends on where the wind is blowing from as where we go but ideally we get you to the Sand Island and Devils islands sea caves. 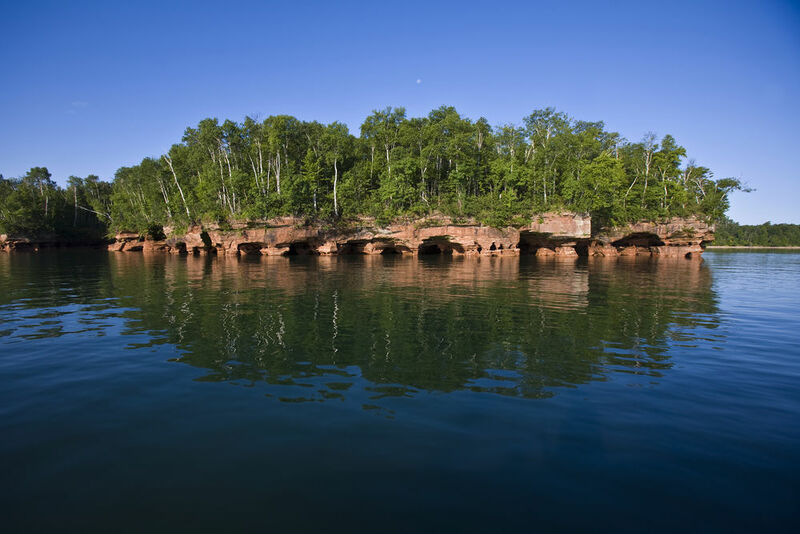 If that is not an option we can usually get you out to the Madeline Island and Stockton Island Sea Caves.